If you are a chocolate lover, you will love this face mask! Besides the amazing chocolate scent, the ingredients are thought to help soothe and rejuvenate tired skin. To a large mixing bowl, add all ingredients. Mix with a wire whisk to blend all powders. If there are any clumps, try to break them up with the whisk. Turn iron or flat iron on to medium heat. 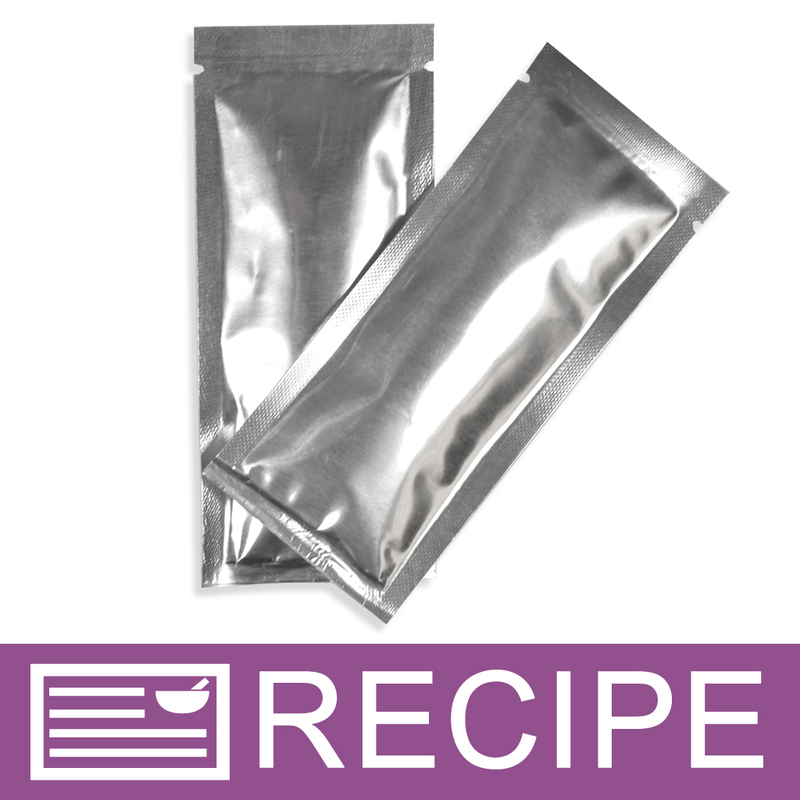 Fill each heat seal packet with one tablespoon of mixture. Seal the end of each bag with the iron or by using a flat hair straightener. Add label and package as desired. To Use: Empty pouch ingredients into a small bowl. Add 3 Tablespoons of water. (You may also use honey, any non-pore clogging oil such as Sweet Almond or Argan Oil, egg whites or milk.) Mix together to make a paste. Spread mask on face avoiding eye area. Sit back and relax until mask dries and hardens. Wash off with warm water (or liquid soap) and pat dry with towel. "This recipe was previously made with Chocolate Illite Clay, Can you still use it?" Staff Answer Yes, you can. We no longer carry Chocolate Illite Clay but you can certainly add it if it is available. "Hi, I’m just curious about your Chocolate Face Mask Kit...you say that buying this as a kit will save over $50.00, but adding up all the ingredients individually the total cost is only around $28.00. So am I missing something here? Thank you =)"
Staff Answer We have updated the packaging to include a 50 pc.set instead of 22 single pieces. This actually brought the savings down to $10.60 which is much more realistic. Thank you for bringing to our attention. "Can white kaolin clay be substituted for the slate kaolin, and I grind whole oats with a coffee grinder to a fine powder, would this work as well as the colloidal? I would love to make this for Valentine's Day gift bags. " Staff Answer You can substitute another clay in this recipe. The Slate Kaolin helps with oily skin whereas the White Kaolin is good for all skin types. You can also grind whole oats in place of the colloidal. Just be sure to grind it as fine as possible. "Any chance this recipe will be available in a kit?" Staff Answer We will pass this information on to the appropriate department to see if they can create a kit for this recipe. "Would this product be considered vegan?" Staff Answer We recommend researching each ingredient. Vegan usually means no dairy but this recipe contains yogurt powder which is a dairy product. "Chocolate Face Mask; What would you recommend the SRP for this be?" "Hi. I wondered what size label I would use for one of these pouches?" Staff Answer Here are a few suggestions for use with our label line: Oval 3.2" x 2” (H 3), Rectangle 3" x 2" (H 1), Rectangle 4" x 1.5" (H 9) or Rectangle 4" x 2" (H 11). "Can Benonite Clay be used in place of the chocolate clay?" Staff Answer Yes it can. Both clays are excellent for oily skin so both would work very in this face mask. "Can this be used on sensitive, irritated skin?" Staff Answer I personally have sensitive skin and have used this product without issues. Some skin may react differently so we suggest testing the finished product on a small area first to see possible reactions. "What can you substitute for the oatmeal-colloidal since you are all sold out? Also will you guys be posting more face mask recipes? " Staff Answer The Colloidal Oatmeal is back in stock and we produce new recipes each month, we will keep it in mind to create new face mask recipes! "Can you substitute the cocoa powder for any of the other powders you sell, i.e., beet root powder? And the same with any of your clays for the chocolate clay? " Staff Answer Hi Heather - We have not tested these substitutions, but any of the other illite clays should work for the brown clay. I'm not sure about beet root powder as I think it is slightly gritty. A softer powder is more comparable to the cocoa powder, perhaps one of the milk powders or maybe aloe powder. "Hi, What type of Cocoa should be used - Raw Cocoa or Dutch Processed Cocoa? Also can the yogurt powder be skipped if I want to make it vegan? Does the mask really feels hot when applied? If so, what exactly gives the hot sensation?" Staff Answer For our testing purposes we used Hershey's Backing Cocoa Powder. Feel free to use any cocoa powder you wish. The Yogurt powder can be substituted with another powder similar in texture but it cannot be skipped entirely. This mask is not a warming mask. The only warming sensation that may occur would be a result of the friction created by rubbing the mask onto your face. "The instructions for use say to use entire packet with 3 T of water or oil, but in the other questions it says twice, I think, that the customer should get 2 masks out of one packet. This seems to not only contradict it self but also would lead to come not so easy mixing instructions and measurements for the customer. Which is correct? " Staff Answer Our directions that you use the entire packet are correct. 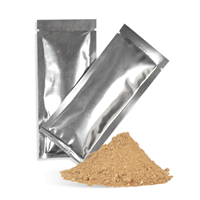 One the entire packet has been mixed with a liquid ingredient we do not advise that any extra be saved for another time. However, if you only use half of the dry ingredients mixed with a liquid ingredient, you can save the extra dry ingredients for another day as our customer suggested in the previous Q&A you saw. We chose to include this customers comment because it was a good alternative, not contradictory to our statements. "Is the label with ingredients and/or instructions available for this recipe? " Staff Answer We do not have a downloadable label for this product. Feel free to get creative making your own. Be sure your label includes the product name, net weight, directions for use, ingredients in descending order of use and your company name and contact information. "Is there a substitution available for the yogurt powder? Thanks! " Staff Answer Yogurt is similar to milk powders. You can substitute the yogurt for any of our milk powders we have available. "If a customer made the complete packet at once, is there a way to save the remainder for another day?" Staff Answer No once the entire package is made, it is not advisable to save the content for another day. If your customer uses a teaspoon full of the powder then they will be able to get 2 uses out of the packet. They can seal the rest with a little tape to keeplay for next time. Hope this helps. "Hello! Can I package this as a ready-made mask with the water already added? If so, what would the shelf life be? Would I need a preservative?" Staff Answer If you wanted to add liquid to this product before packaging, you will have to test the preservative to make sure that it prevents molding. "Is the Cocoa Powder that's listed as the first ingredient the the same Cocoa Powder that I use in baking?" Staff Answer Yes! The cocoa in this recipe would be the same as cooking cocoa powder. "So, how many tablespoons fit into the bag? How much do you use per mask? Thanks!" 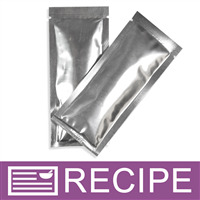 Staff Answer 1 tablespoon will fit into the Heat Seal Sample Packet - Silver, 2 x 4.75 inches. There is enough content in the package to make 2 face mask. "Are there suggested instructions that accompany this mask? " Staff Answer Yes, Step 9 in this recipe gives directions on how to use this mask.